2423 2425 San Pablo Ave Berkeley, CA. | MLS# 471516 | Andrew de Vries, Probate Real Estate, San Francisco Probate Real Estate, Oakland Probate Real Estate, Berkeley Probate Real Estate, Alameda Probate Real Estate, Lafayette, Contra Costa Probate Real Estate, Probate realtor, Probate agent, Probate Broker. 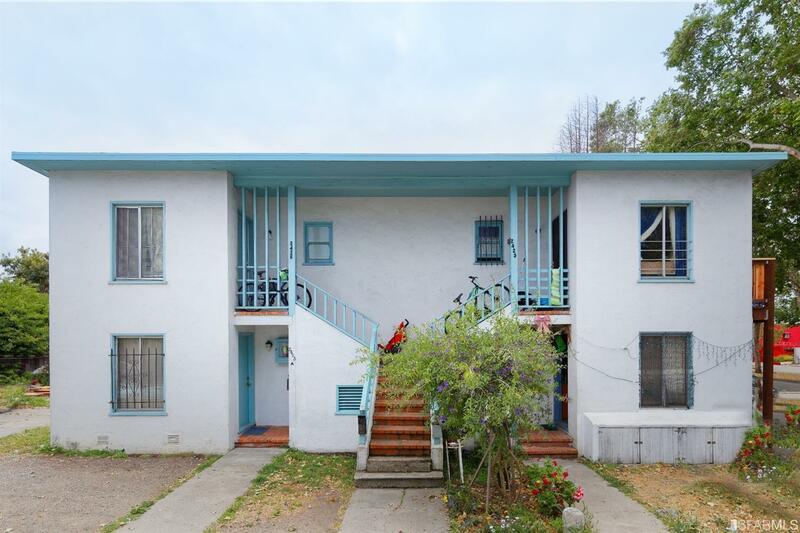 This South Berkeley 4-Unit investment opportunity, located in the heart of the University Ave/Dwight Way shopping and dining areas, as well as close to freeway and public transit access, features four 1BD/1BA units measuring approximately 588 Sq Ft each on a 5,400 Sq Ft lot. Building is fully rented, has $25,000+ of recent upgrades, and is currently generating $40,700 in gross annual income with lots of upside potential for the next owners. Buyers to verify all square footage and tenancy terms.